USA Cycling board of directors chairman Bob Stapleton is optimistic about the future of American cycling as trends shift away from traditional road events. USA Cycling board of directors chairman Bob Stapleton is leading the organization’s charge in 2019. Stapleton connected with us for a wide-ranging interview on the most pressing topics of the year. VeloNews: The recent criticism of USA Cycling is that it has lost touch with the soul of American cycling. Bob Stapleton: That’s partially true, but I believe we’ve taken steps to get back in touch. We are improving the relationship with our amateur racing community. We’re still not relevant and compelling to the broader audience of enthusiast cyclists. We have a lot to offer to people who participate in gravel events, or who go out to adventure on their bicycles. I think that’s something that USA Cycling needs to focus on in the future. We should ask ourselves what role USA Cycling can take to improve your health and wellbeing on a bicycle. How can we give you safe access to roads and trails? Who can we partner with that is already doing work in these areas? We’re looking to broaden the mission, really. VN: There is a feeling that American cycling is struggling due to a lack of heroes. 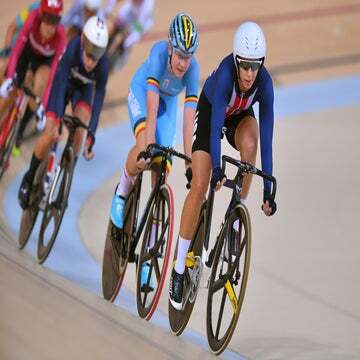 How can USA Cycling help? BS: The key is to inspire. One of the most interesting things with the rise of social and digital media is the access we have to interesting lives. Sure, there are the Ashton Lambie’s of the world, but there are a million other people doing interesting things on their bikes. They are inherently motivating and inspirational. We need to help get their stories told. 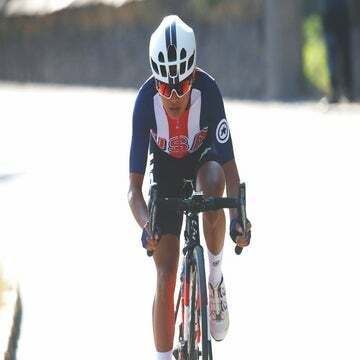 With the U.S. national team, I think we’re going to see a huge payoff in the Olympics, where you can see the experience through Kate Courtney or Chloe Dygert-Owen’s eyes. VN: Tell us about USA Cycling’s new information and technology plans. When will we see the fruits of this labor? BS: Communicating this has not been our finest moment. The objective is to bring real tools for engagement and communication into our community. The key customer here is our race directors and people running events. We want to provide them with a customer management system and registration system that allows them to communicate with the participants. This is one of the first deliverables for the first quarter of 2019. That’s the outcome of a few years of intense work. The software can be used by traditional races, gran fondos, fun rides, you name it. We also have enhancements planned for our app. You can sign up for races, show your license, and request a category upgrade, you name it, from your smartphone. We are in the process of modernizing everything that USA Cycling does to engage and communicate. It’s the future of USA Cycling. VN: Professional road cycling is struggling in the U.S. What can USA Cycling do to help? BS: USA Cycling is concerned about this. On the professional side, I have spent a lot of time working with the UCI on the concept of a one-day pro series. We’re actively working to bring a series of one-day races to North America, which would expand the opportunities for our teams and create an international media platform. The increase in exposure would be a watershed moment for our teams that struggle to get viewership. I think that’s the big thing on the horizon at the moment. Our initial focus is to make sure road cycling is a fun and safe environment. Then, we make sure our events are the highest quality we can make them, and as interesting as we can make them. A lot of our success with pro racing will hinge on what we can do to keep people engaged and to bring back young cyclists. VN: How do we create opportunities for young riders? BS: We need to collaborate with the National Interscholastic Cycling Association (NICA) and other organizations that are introducing youth to cycling. I’m entirely optimistic about this, and I think most of the gap that existed before was personality driven. There was never a conflict of mission or goal, or how to fit the pieces together. I think it’s a better environment now, and we’re engaged in discussions. We can also improve things at the collegiate level. There, it’s less about racing and more about creating a club participation level that produces people who are interested in racing. VN: USA Cycling recently switched to a high-performance model. What does that mean? BS: The U.S. national team is now just the point of entry into a suite of serious development tools focused on helping these athletes improve. For the first time our athletes are seeing an engaged USA Cycling, and one that is bringing skills and knowledge to bear on their careers. I think that is going to make a difference, and we’re going to see remarkable results in Tokyo. We’re arguably the number one nation across cycling disciplines right now. And that’s going to show up in the medal count in Tokyo. VN: Cycling often has trouble breaking through the mainstream media these days. How can our sport do that? BS: I think that social media and digital give us a real opportunity for our sport to reach a lot of people. Cycling is a participation sport that connects people across our community easily and much better than in swimming or gymnastics. The sheer number of people riding their bikes, combined with the number of compelling athletes we have, is what sets cycling apart. It has the broadest participation base of anything. We’re not a niche sport. I think our female athletes are particularly compelling in every discipline. Look at the story we have going forward to Paris  and Los Angeles . Our athletic progress has a long focus. We’re not resting on our laurels; we’re impatient. Everyone at USA Cycling believes we can do more.